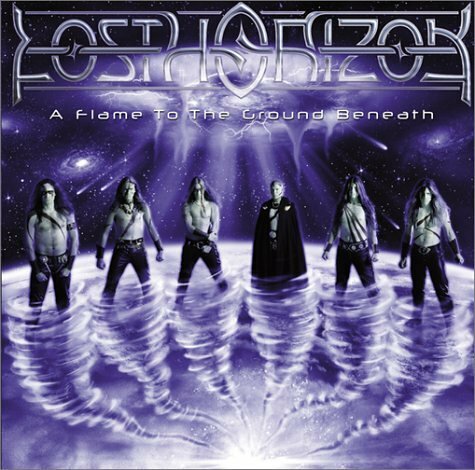 Lost Horizon play a very tricky sub genre of power metal as you really can't pin it down to USPM or ESPM , this is basically guitar driven yet you cant surely state it's USPM and it's really not that much of keyboard driven either in order to state it's ESPM. When lost Horizon are mentioned , instant comparison with Stratovarius comes to mind, probably due to the similarities in the majestic powerful vocals used by either Daniel Heiman or Timo Kotipelto . This also lacks the agressiveness of USPM , but it's harmonic, melodic and epic. The riffs during the whole album are power metal standard with the exception they're played with heart and emotion with some great solos that are melodic and most of all not wankery. The drummer also doesnt resort to the double-bass pedals during the whole album as a lot of power metal bands tend to do instead, he's highly technical and shows good deal of talent, with a proper dose of double bass pedals as mentioned. The bass, is well , hidden in the background of the tracks as it's rarely audible in power metal. Now comes the vocals, without doubt they're the highlight of the album as Daniel Heiman delivers one of the most powerful vocal performances in power metal, the man can hit high notes in an astonishing ease with a great range, basically, he sings his heart out. This album doesnt get a full mark as simply besides the vocals, it doesnt differ much from great power metal albums, also there are two filler tracks ranging at two minutes, yea i dont like those. This is a good power metal listen in short. Highlights : Highlander ( The One ) , it's the best track of the album.